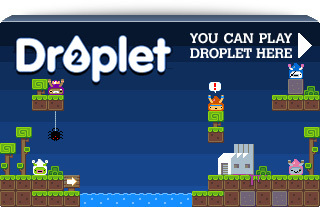 I don’t think I’ve ever received a more exciting email than the one from Nintendo that contained the above We applied via their GDC2013 invite to develop games and apps on the Wii U using their new HTML5 APIs. After a quite lengthy approval process we were finally pleased to be told we had made it through. Our Dev Kits are in the process of being ordered, and although we’ve only got access to the documentation at the moment we can already see the power of what the Nintendo APIs will allow us to do. Obviously we’re tightly bound under NDA but we’ll talk about as much of the experience as we’re allowed to. 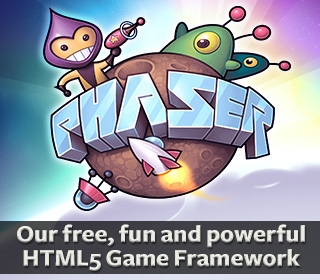 And of course we’ll be making sure that both Phaser and Kiwi are fully compatible with Nintendo’s Web Framework. So keep your eyes peeled! Posted on July 24th 2013 at 2:41 pm by Rich. Wow! Very cool. the Wii U needs good games. It’s a nice platform, and I love it, but there is a vast lack of content. I’ll be first in line when your game gets published. I don’t know what this means for the Wii U, but I do hope it develops something so that we can play all Facebook games. At the moment I can play the beta version of Words With Friends. I have read elsewhere that Flashplayer is old hat now, so Nintendo won’t produce there version of that unless they reall want to – but as there isn’t any demand for it it wouldn’t be in their interests to pursue it, but an equivalent would really improve my gaming experience at least.